Due Date – the date specified overleaf and the corresponding date in each period specified overleaf or the previous business day if the Due Date falls on a Saturday, Sunday or public holiday. Our Fees – the amount specified overleaf which does not include VAT, which shall also be paid by you where it is or becomes applicable. 2.2. to have access to the Unit at any time during the Access Hours only for the purposes of depositing, removing, substituting or inspecting the Goods and your regular inspection of the Unit for damage or unsuitability for the Goods. No access to the Unit will be permitted for any other purposes or outside Access Hours. We will try to provide advance warning of changes in Access Hours by notices on Site, but we reserve the right to change Access Hours to other reasonable access times at any time without giving any prior notice. 3. Only You and persons authorised in writing or accompanied by You will be allowed to have access to the Unit. Any such person is your agent for whose actions You are responsible and liable to us and to other users of units on the Site. You may withdraw any authorisation at any time but the withdrawal will not be effective until we receive it in writing. We may ask for proof of identity from You or any other person at any time (although we are not obliged by this Agreement or otherwise to do so) and we may refuse access to any person (including You) who is unable to provide satisfactory proof of identity. We may refuse You or your agents access at any time if we consider in our sole discretion that the safety of any person on the Site, or the security of the Unit or its contents, or other units or their contents will be put at risk. 4. You are responsible for providing a secure padlock for the Unit and You must ensure that the Unit is locked so as to be secure from unauthorised entry at all times when You are not in the Unit. We will not be responsible for locking any unlocked Unit. You should not leave your key with or permit access to your Unit to any person other than your own agent who is responsible to You and subject to your control and if You do so, You do so at your own risk whether or not any such person is our employee or agent. We do not accept any liability for any person including our employee or agent holding your key and having access to your Unit and any such person acts as your agent only. 5.2.6. for the purpose of ascertaining whether the Unit contains any items described in Condition 8 or if we reasonably consider that such entry is necessary to ascertain whether action needs to be taken to prevent injury or damage to persons or property. 6. You warrant that throughout this Agreement, the Goods in the Unit from time to time are your own property or that the person who owns or has an interest in them has given You irrevocable authority to store the Goods in the Unit on the terms and conditions in this Agreement and that You act as a duly authorised agent of any such person. You indemnify us against any loss or damage suffered by us for breach of this warranty including against any loss, damage or expenses incurred by us (including any reasonably incurred legal fees) arising from any step or action taken by any person who owns or has an interest in the Goods. 7. We reserve the right to refuse to permit You to store any Goods or require You to collect any Goods from the Unit if in our opinion the safety of any person on the Site, or the security of the Unit or its contents, or other units or their contents would be put at risk by the storage or continued storage of any such Goods. 9.8. leave anything in or cause any obstruction or undue hindrance in any passageway, stairway, service area or other part of the Site and You must at all times exercise courtesy to others and reasonable care for your own safety and that of others in using these areas. 9.9. connect or provide any utilities or services to the Unit unless authorised in advance in writing by us. 10.3. comply with the reasonable directions of any of our employees, agents and contractors at the Site and any further regulations for the use safety and security of the Unit and the Site which we may issue from time to time. 11. This Agreement shall not confer on You any right to exclusive possession of the Unit. 11.1. We may at any time by giving You seven days’ written notice require You to remove the Goods from the Unit to another unit specified by us which shall not be smaller than the current Unit. 11.2. We agree to pay your reasonable costs of removal which have been approved in writing by us in advance of the removal. 11.3. If You do not arrange the removal of Goods to the alternative unit by the date specified in our notice, we and our agents and contractors may enter the Unit and do so. In doing so, we and our agents and contractors will act as your agent and the removal will be at your risk (except for loss or damage caused wilfully or negligently by us and our agents and contractors, subject to the aggregate limit of our liability contained in Condition 21). 11.4. If the Goods are moved to an alternative unit, this Agreement will be varied by the substitution of the alternative unit number but shall otherwise continue in full force and effect and Our Fees at the rate set out overleaf will continue to apply to your use of the alternative unit. 12. You must pay us Our Fees for the minimum period of storage on signature of this Agreement and thereafter must pay Our Fees on the Due Date. 13. We may alter Our Fees at any time by giving You written notice and the new Fees shall take effect on the first Due Date occurring not less than four weeks after the date of our notice. 14. If You do not pay Our Fees on the Due Date, You must pay us an administrative charge for late payment which is the larger of 10 per cent of Our Fees or £5. 15. Additionally, on each occasion any cheque is dishonoured, at our option You must pay us an administrative charge of £12. 16. Additionally, You must pay us interest on all amounts overdue for payment from You at the rate of 5% above the base rate of NatWest Bank PLC, calculated from the date when payment becomes due up to and including the date of actual payment including all accrued interest, whether before or after judgment, and whether or not we exercise the right of sale under this Agreement. 17.3. any other obligation to us that You have not performed. 18. The Prompt Payment of each and every sum (including interest) whether invoiced or not, owing from You to us from time to time under this Agreement or any other agreement between You and us (in this Condition, called “Your Debt”) is of the essence of this Agreement. 18.1. The terms of this Condition are additional to and without prejudice to all or any rights we may have at common law or otherwise. 18.2.2. the Goods are held solely at Your risk and we shall be able to immediately exercise the lien described below. 18.3. We have a lien over the Goods for Your Debt until payment of Your Debt in full has been received by us in cash or, if by cheque, until the cheque has been paid by your bank and after this lien becomes exercisable by us, the following Conditions shall apply. 18.5.3. to hold onto and/or ultimately dispose of some or all of the Goods. 18.6. In the event that Your Debt is not paid promptly or You fail to collect the Goods after we have required You to collect them or upon expiry or termination of this Agreement, we may, subject to clause 18.8, sell the Goods and pass all ownership to them and use the proceeds of sale to pay first the costs incurred by us in the sale and removal, and secondly in paying Your Debt and to hold any balance for You. Interest will not accrue to You on the balance. 18.7. If the proceeds of sale are insufficient to discharge all or any part of the costs of sale incurred by us and Your Debt, You must pay any balance outstanding to us within seven days of a written demand from us which will set out the balance remaining due to us after the net proceeds of sale have been credited to You. Interest will continue to accrue on Your Debt until payment has been made. 18.8. Before we sell the Goods, we will give You notice in writing by registered or recorded delivery post at your address overleaf or any address in England and Wales notified by You to us in writing prior to our notice, specifying any particulars that we have of the Goods, the amount of Your Debt at the date of the notice (and, in our sole discretion, specifying any amount by which Your Debt is increasing after the date of that notice) and directing You to pay and that in default of payment within two months after the date of the notice, we will sell the Goods. We do not agree to give You any further notice of any intended sale. 18.9. We will sell the Goods by the best method(s) reasonably available to achieve the best selling price reasonably obtainable in the open market, taking into account the costs of sale. 18.10. If the Goods cannot reasonably and economically be sold (for any reason whatsoever), or they remain unsold despite our efforts, You authorise us to treat them as abandoned by You and to destroy or otherwise dispose of them at your cost. 19. Because the nature and type of goods being stored by You from time to time is entirely within your discretion (subject to Condition 8 and 9) You must ensure that the Unit is suitable for the storage of the goods that You store or intend to store in it. We do not warrant or represent that any unit allocated to You is a suitable place or means of storage for any particular goods. We strongly advise You to inspect the Unit before storing Goods in the Unit and from time to time throughout the period of this Agreement. 20. In the event that You do not pay any Fees or charge, the Goods are left in the Unit at your sole risk. We exclude any liability in respect of the Goods when payment of Our Fees or charges is overdue and exclude any duty of care howsoever arising. 21. 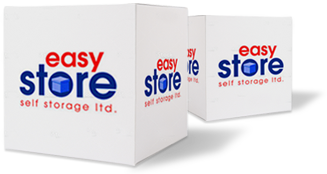 We insure the Goods for the true total value as stated on the Licence Agreement up to a maximum value of £10,000 per self-storage unit. 21.1. Storage of Goods in the Unit is at your sole risk. 21.2.2. that the insurance cover will not be for a sum which is lower than the replacement value of the Goods stored in the Unit from time to time. 21.3. We do not give any advice concerning such insurance and it is for You to make your own judgement whether such insurance is appropriate to cover the Goods and risks to them. 21.5. Normal Perils in this Condition mean loss of or damage to Goods caused by fire, lightning, explosion, earthquake, aircraft, storm, flood, bursting &/or leaking pipes, theft accompanied by forcible and violent entry or exit, riot, strike, civil commotion, malicious damage, and impact by vehicles. 21.8.3. this warranty is repeated by You to us at each Due Date. 22. We do not exclude liability for physical injury to or the death of any person and which is a direct result of our negligence or wilful default or that of our agents and/or employees. 23. You will indemnify us against all claims, demands, liabilities, damages, costs and expenses incurred by us or by any of our servants, agents or other unit users or persons on the Site which arise out of the use of the Unit or the Site by You or any of your servants, agents or invitees or arise out of the breach of this Agreement by You. 24. In the event of circumstances which are outside our reasonable control and their consequences, we do not agree and are not obliged by this Agreement to maintain the safety or security of the Goods, the Unit or the Site in order to keep the Goods free from damage or loss. Neither You nor we shall have any liability under or be deemed to be in breach of this Agreement for any delay or failure in performance of this Agreement which results from circumstances beyond the reasonable control of that party. Such circumstances include any Act of God, riot, strike or lock-out, trade dispute or labour disturbance, accident, breakdown of plant or machinery, fire, flood, shortage of labour, materials or transport, electrical power failures, threat of or actual terrorism or environmental or health emergency or hazard, or entry into any unit including the Unit or the Site by, or arrest or seizure or confiscation of Goods by competent authorities. 25. This Agreement shall expire on the Termination Date or as described in Condition 26. 26.2 immediately by giving written notice to the other if it commits a serious breach of any term of this Agreement and (in the case of a breach capable of being remedied) shall have failed within 15 days after service of a notice to do so, to remedy the breach. Serious breach includes a failure by You to pay all Our Fees and other charges due to us under this Agreement. The Termination Date shall be the date the notice is effectively served on You in accordance with Condition 38. 27. Immediately on the Termination Date, You must remove all goods from the Unit and leave the Unit clean and tidy and in the same condition as at the Commencement Date. If You do not do so, You shall pay our costs of cleaning the Unit or disposing of any goods or rubbish left in the Unit or on the Site. In default of Prompt Payment of our Fees and any payments due to us under this Agreement, we are relieved of any duty howsoever arising in respect of the Goods and they are held solely at your risk. We may treat Goods remaining in the Unit after the Termination Date as abandoned and may dispose of them in accordance with Condition 18.6 and 18.8. 28. Where this Agreement has terminated and You have paid more of Our Fees and charges than are due at the Termination Date, we will refund the balance to You after deduction of any payments due to us as if the balance were a Deposit under Condition 17. No interest will accrue on any money held by us for You. Where any payments are still outstanding from You, You must pay us in full including any outstanding interest before we will release the Goods to You. 29. You agree to examine the Goods carefully upon removing them from the Unit and must tell us about any loss or damage to the Goods as soon as is reasonably possible after doing so. 31. Every provision in this Agreement is severable and distinct from every other provision and if at any time one or more of such provisions is or becomes invalid, illegal or unenforceable, the validity, legality and enforceability of the remaining provisions will not be affected in any way. 32. This Agreement can only be varied in writing and signed by one of our directors. None of our other employees or agents has any authority to vary this Agreement on our behalf whether orally or in writing or to make any representation of fact that is or may be inconsistent with the terms of this Agreement. 33. You may not assign any of your rights under this Agreement or part with possession of the Unit or Goods whilst they are on the Site to any other person, firm or company and a breach of this Condition is a serious breach under Condition 26.2. 34. You agree that it is not the intent of this Agreement to confer any rights on any third parties by virtue of this Agreement and accordingly the Contracts (Rights of Third Parties) Act 1999 shall not apply to this Agreement. 35. This Agreement shall be governed by English law and You and we submit to the exclusive jurisdiction of the English courts. 36. This Agreement shall not create a tenancy or constitute us as bailees of Goods. 37. Where You are two or more persons your obligations under this Agreement shall be obligations of each of you separately. 38. Any notice given under this Agreement must be in writing and may be served by personal delivery to the person notified or its address or by pre-paid post. Your address for service of notices shall be your address written overleaf or any other address in England which You have previously notified to us in writing. Any notice to You will also be sent to any owner (whether sole, joint, or co-owners) the name and address of whom we have been previously notified by You. Any notice to us must be sent to our address set out overleaf. A notice will be served at the time of personal delivery or forty-eight hours after it has been placed in the post. 39. You consent to our use of the information given by You, including your personal information, for marketing and other purposes and You consent to us passing such information to other persons and companies for them to use for marketing or other purposes.